I am so excited to announce to you all that I will be one of the hosts for Content Sugar. 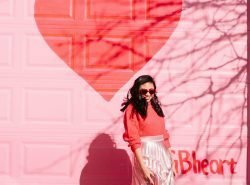 Let me tell you, when I started blogging almost 5 years ago (I can’t believe it’s been that long! ), I wished something like Content Sugar existed. 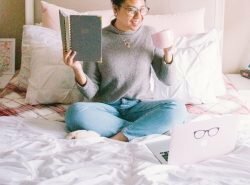 I honestly think it would have helped me tremendously in growing my business/blog. Content Sugar is a three part workshop that was created by Cliquish. Cliquish is a member only community of content creators and bloggers that gives you the resources you need to grow, profit, and build a business. 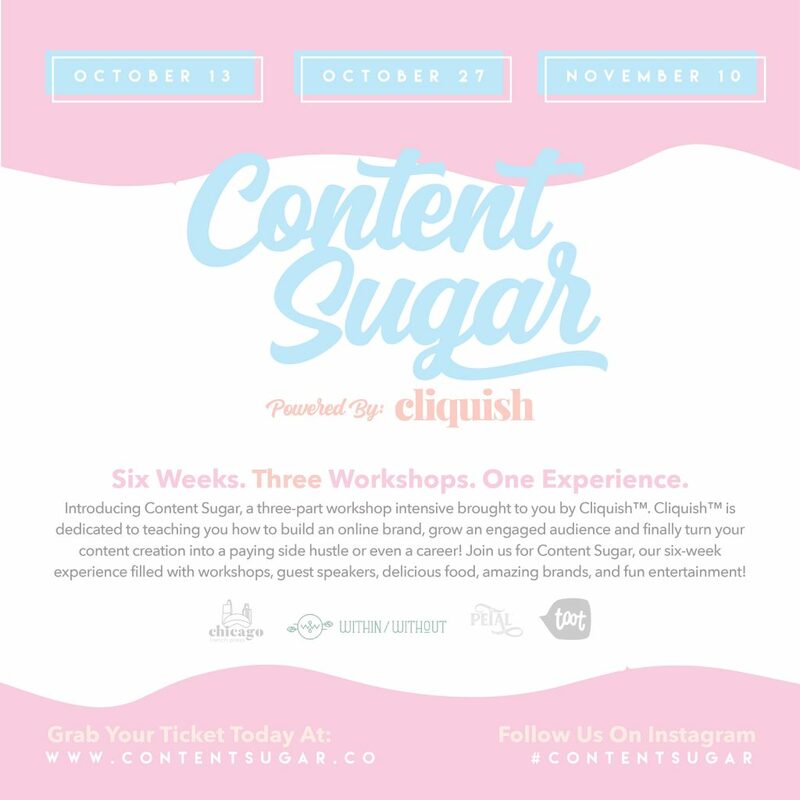 During Content Sugar’s workshops, you will learn how to build a brand, grow your audience, and how to monetize as a content creator. Guest speakers, mentors, and hosts (like me!) who are experts in this industry will be there to guide and direct you on being a successful entrepreneur. Not only will you learn a lot during these workshops, but you will have an opportunity to network. You get to network with your peers and brands! Let me tell you, I saw so much success when I started networking with my peers. Community is everything! Can you see why I wished something like this existed when I started? There wasn’t much of a community at that time and I had to learn my way on my own. There was a lot of trial & error. And I just want to face palm at some of my errors. But seriously though, how am I supposed to know if there was no assistance out there? 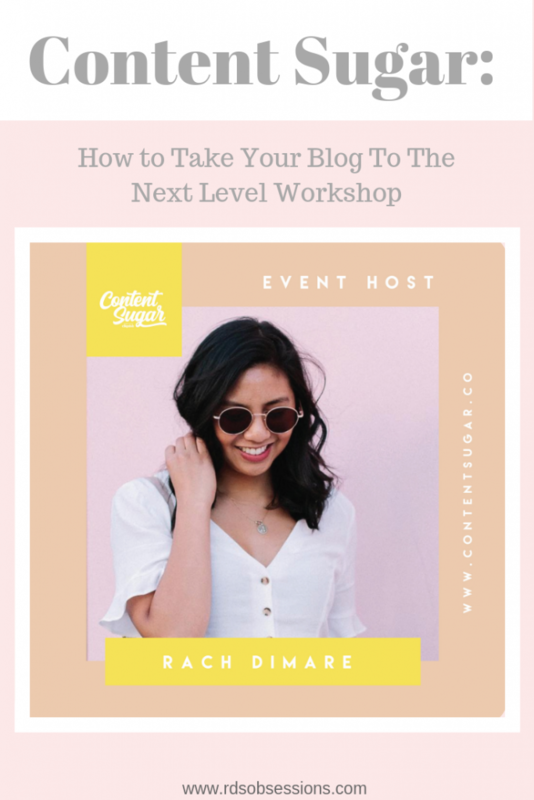 So if you are new to this industry or are wanting or even thinking about turning your blog into a career, then you need to go to this workshop. I highly recommend taking advantage of this opportunity! There are 3 dates. It will be on October 13, October 27, and November 10, 2018. Each date is a different workshop and something unique to experience. So to get the most out of your buck, definitely go to all 3 workshops. Head to the Content Sugar site to get an idea of the itinerary. The workshop will be held in Chicago in the Wicker Park neighborhood. What if I can’t make it to Chicago? If you can’t make a trip to Chicago, they are live streaming the workshops! How awesome is that? Most workshops require in-person in order to attend. Although, I will admit you get so much more when you are physically there. Out of the workshops I’ve been to and know about, I’m really impressed with the price! Below are the cost of the tickets. You get priority seating, access to all workshops, one-on-one mini shoot, and exclusive giveaways. You get full access to all workshops, freebies & giveaways. You get access to one workshop, freebies & giveaways. You get to access all 3 workshops remotely by live streaming. So what do you think? Are you ready to be an entrepreneur and take your business/blog/content to the next level? You’ll gain so much experience and hopefully you can take your passion to the next level. Like I said, I wish something like this existed when I first started blogging. If you are new to this industry, take advantage of it. Don’t make the same mistakes I did haha. And if you do go, I’d love to meet you! Feel free to comment, email, and DM (via Instagram) me! I’d love to put faces to names! Looking forward to seeing you all at Content Sugar! It is awesome to have like minded people! Hopefully you can at least do the live stream! This is awesome! I’d love to check this one out. Thanks for sharing dear.